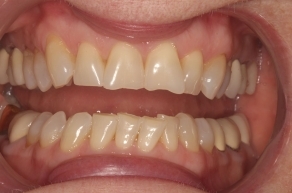 Teeth whitening can be one of the easiest ways to improve the appearance of your smile. Bright, white smiles are typically associated with good oral health, proper self-care, and beauty, which makes teeth whitening products and treatments very popular. However, with so many whitening products available over-the-counter, many adults often wonder if professional bleaching treatments truly outperform rinses, pastes, and white-strips they can buy from a store. 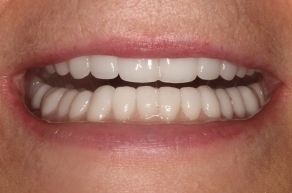 Our cosmetic dentist, Dr. John Cross, explains to patients who come to him with questions about teeth whitening that there is an important distinction between over-the-counter (OTC) whitening products and professional bleaching treatments. While professional tooth bleaching treatments must contain an active whitening agent, such as hydrogen peroxide or carbamide peroxide, products that are labeled as “whitening” may simply be designed to clear food or other debris from the teeth. Dr. Cross cautions patients who choose to use OTC whitening products to carefully read the labels and make sure their chosen product contains an active whitening agent. Professional teeth whitening treatments, like those we perform at our practice, have many advantages over their OTC counterparts. 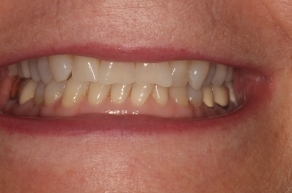 First and foremost, the clinical-strength bleaching agents we utilize are typically much stronger and more effective in reducing dental stains and discoloration. 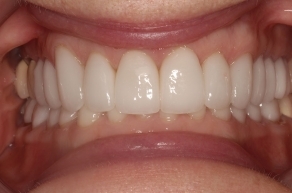 It is also important to point out that the at-home whitening trays we use are custom made for each patient, providing full coverage of the teeth. OTC products, on the other hand, are designed to be one size fits all, which can lead to sub-optimal whitening results, increased tooth sensitivity, and gum irritation. Our most impressive in-office treatment, Zoom!® whitening, achieves fast effective results that no OTC system can deliver, dramatically whitening teeth up to eight shades in just 45 minutes. 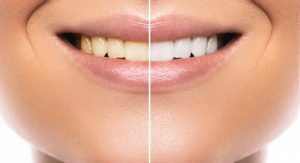 Finally, patients who choose professional bleaching treatments have the advantage of Dr. Cross’s experienced supervision, helping to ensure they achieve their cosmetic goals safely and efficiently. To learn which whitening treatment can best meet your needs, please contact OC Lifesmiles and schedule a consultation with Dr. Cross today.